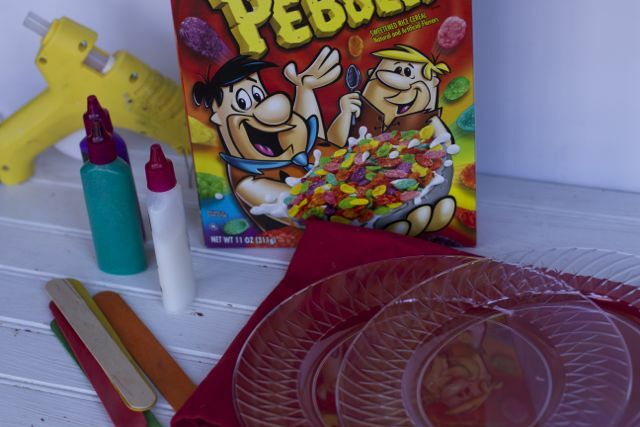 Thanks to Post Cereal for sending me a great package to create this kid friendly New Year’s Eve party. Now that the kids are getting older, they are able to stay up until midnight. Often mom and dad are already asleep! 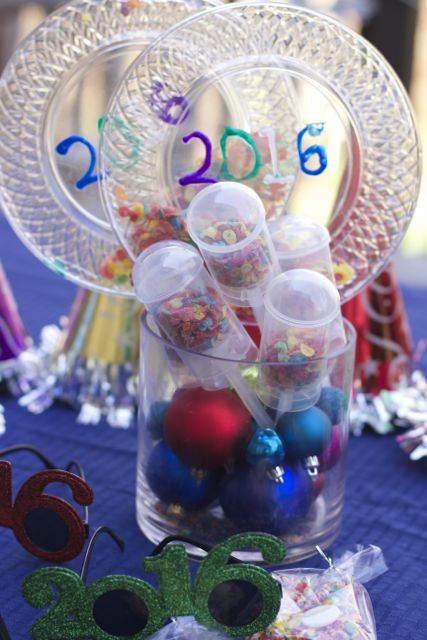 This year, we hope to stay up with the kids, so we are creating a fun kid friendly New Year’s Eve Party with plenty of festive decorations. 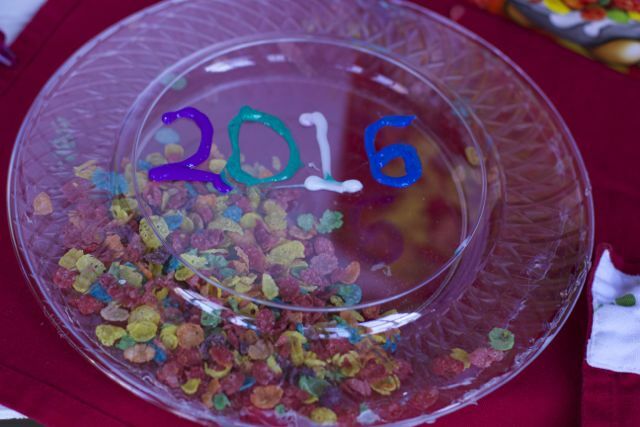 Kids love confetti, and what could be better than using Fruity Pebbles instead of paper to create some fun New Year’s Eve decorations and props? While the kids wait for the ball to drop, set up a photo booth, because let’s face it…kids can’t take enough selfies these days. 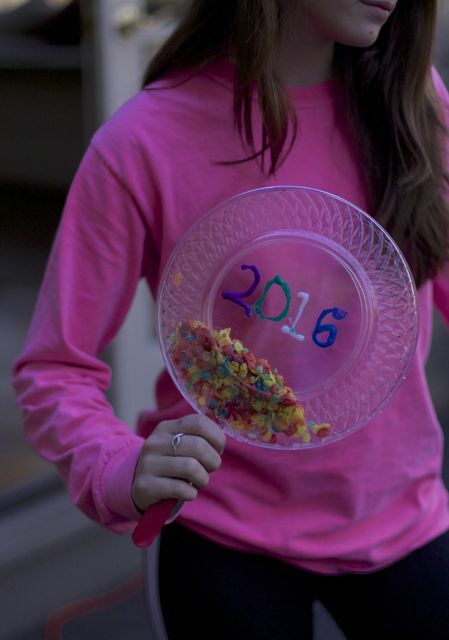 Setting up a New Years Eve Photo booth is as simple as using glue and Fruity Pebbles to write out 2016 (so hard to believe it is already 2016). Tape those to a wall or back drop and have the kids use a variety of photo props. 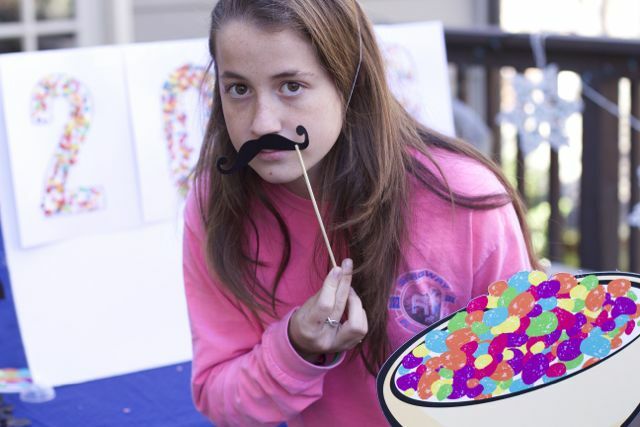 Kids just love photo booths. 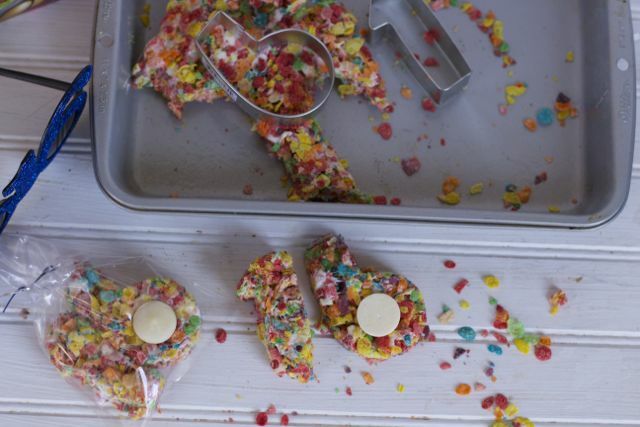 For New Years Eve Party favors or kid friendly snacks, make some yummy Fruity Pebbles bars. But, don’t cut them in squares — that is too boring. Be sure to cut them in a one and six and bag them up. Kids can save them for another time or enjoy them at the party. 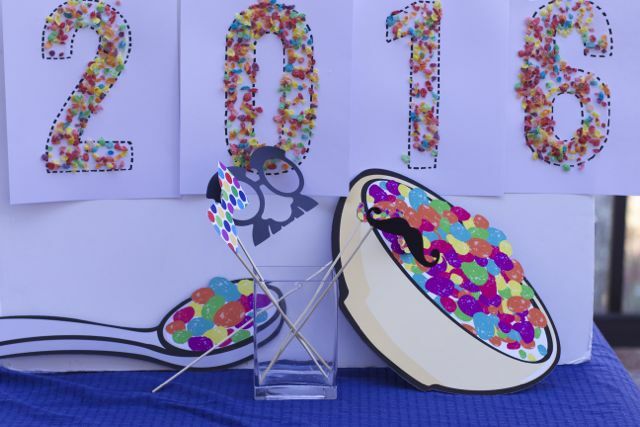 Be sure to check out our Confetti Clock Cake we made for New Year’s Eve a few years ago. The festivities can begin whenever you plan on celebrating “midnight.” Many kid friendly New Year’s Eve parties will set a specific time, such as 9 pm, and set the clock ahead three hours to have a mock New Years Celebration. It just depends on the age of your children or how sleepy the parents are! 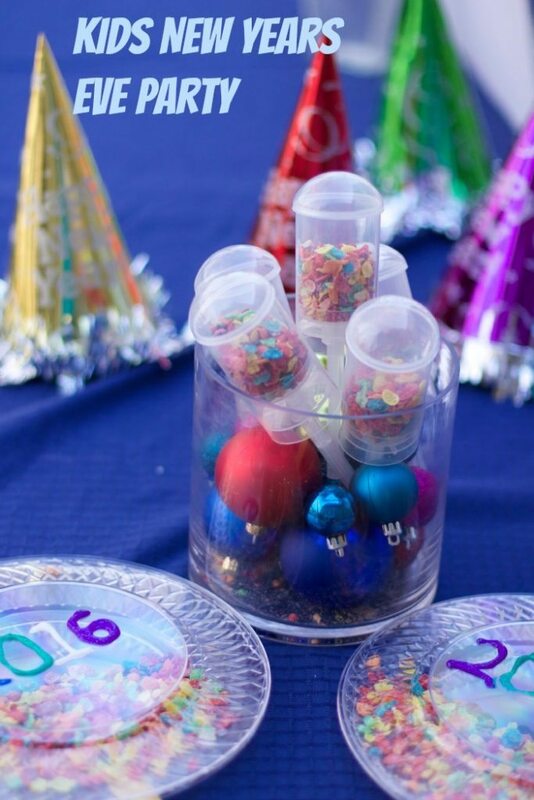 Now for the confetti part: for New Year’s Eve Noise Makers, you will need clear plastic plates, a glue gun, a popsicle stick and numbered stickers or puffy paint. 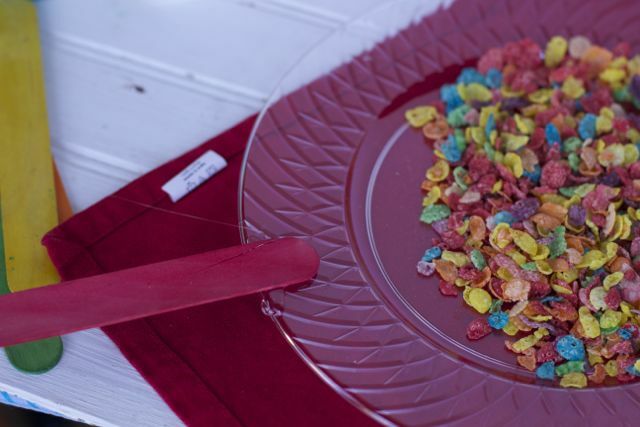 Pour some Fruity Pebbles onto one of the plates. 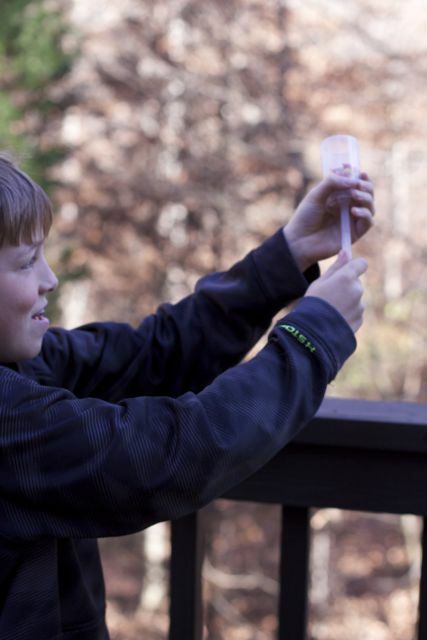 Glue a popsicle stick to the plate. Then, carefully put hot glue around the edges of the plate. Seal the other plate on top, being sure there are no missed spots that appear open…. Using puffy paint, paint 2016 onto the plate and allow to dry. 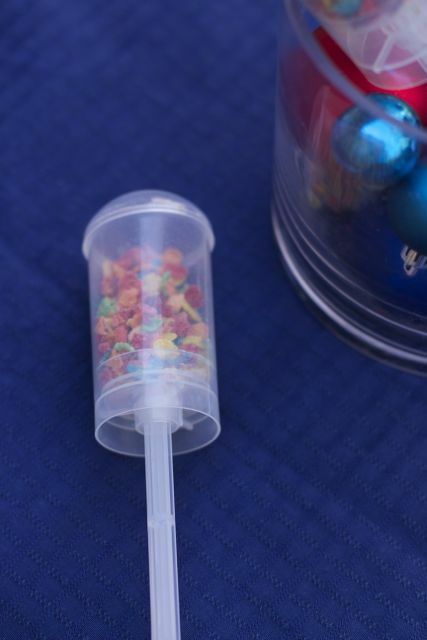 The kids can use this to make a fun noise during the celebration. 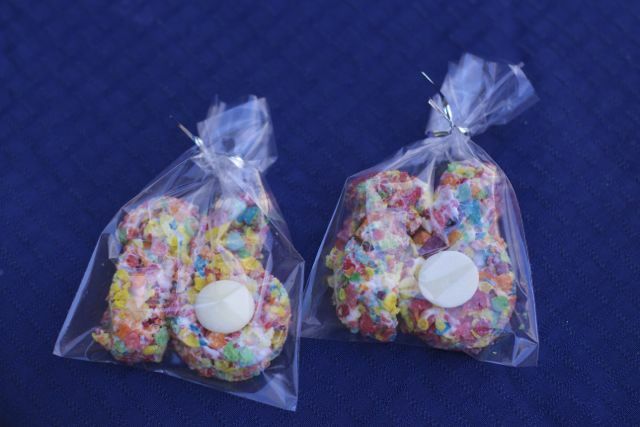 Bring the celebration outside with these DIY confetti poppers. 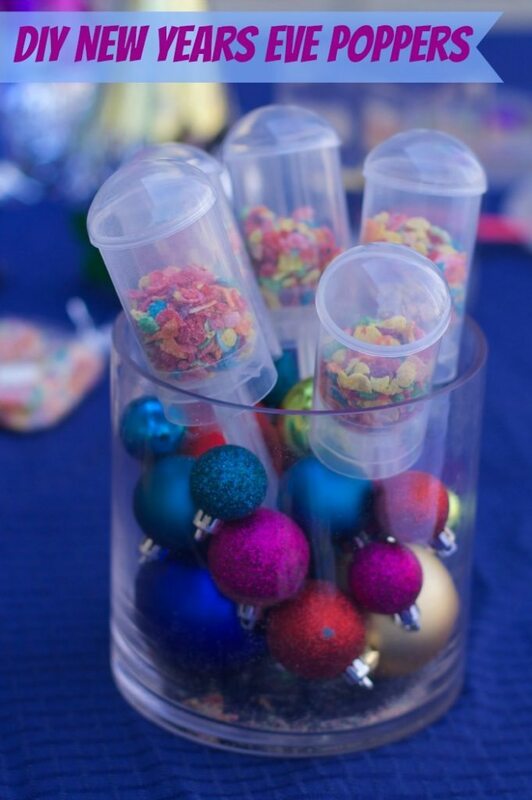 Fill push-up pops with Fruity Pebbles. 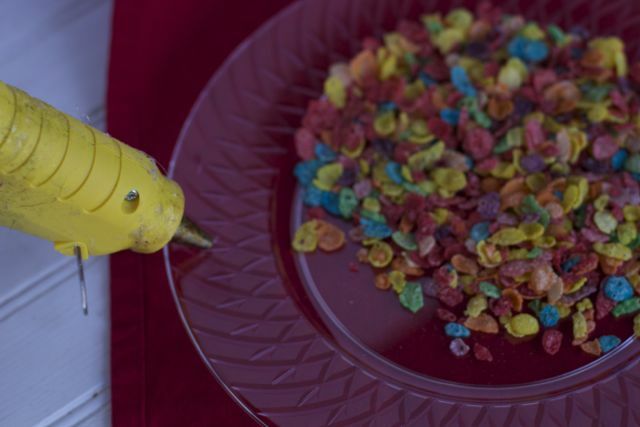 The kids can release their confetti outside, and the birds can clean it up later! 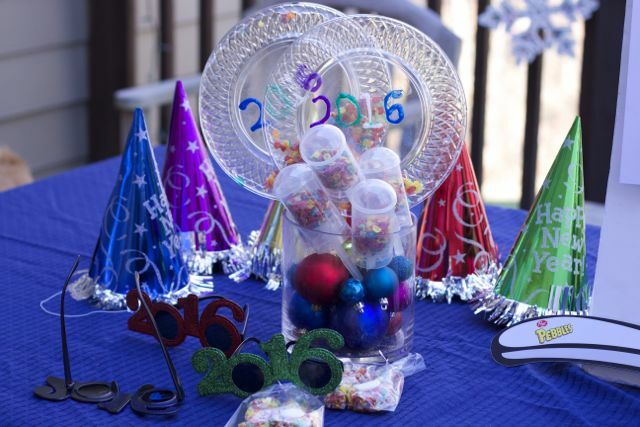 The options are endless when throwing a kid friendly New Year’s Eve Party. Find more New Year’s Eve Party Tips to make your party a success too. .
What do you like to do with the kids on New Year’s Eve?